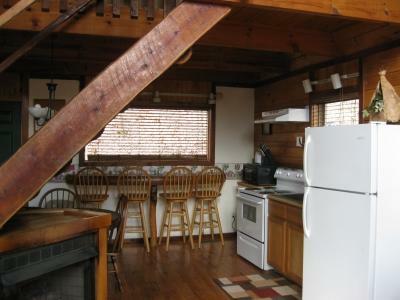 Setting: Located in a wooded cabin development. 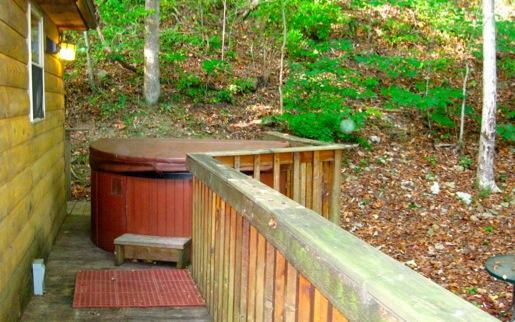 Cliffside Chalet has vacant wooded property on one side providing privacy for the hot tub. 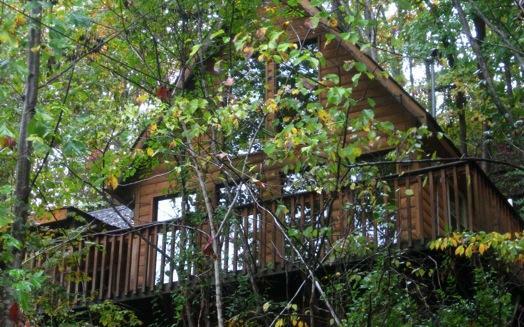 Sleeps 5. 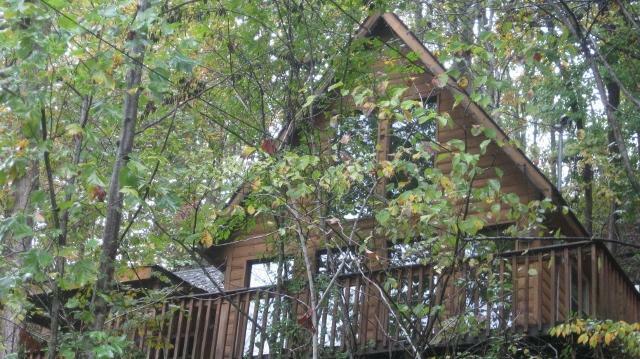 Cliffside Chalet has a bedroom downstairs and an open loft with a king size bed. 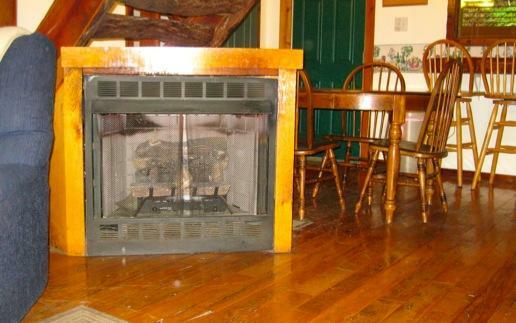 Gas fireplace, hardwood floors 1 bathroom with shower and jetted tub for two. Also a 1/2 bath. Dining table seats 4, Basic TV Satellite package w/local channels. Private deck with grill and hot tub. 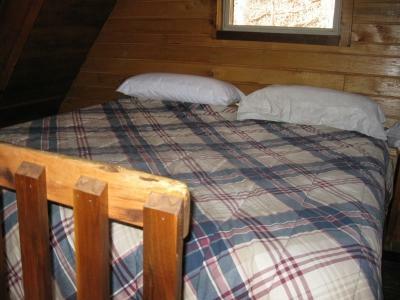 There is a king bed and queen bed, maximum of 4 people. The cabin was comfortable. The location was perfect! We would definitely stay again. Wonderful comfortable cabin! Great location and hot tub was relaxing! 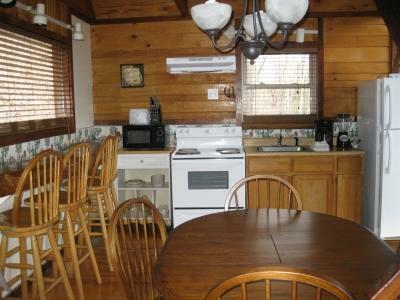 "Good 2 or 3 night cabin for 2 to 4 people.